2018 is a year of revival at C3 Lausanne! We have seen so many answers to prayer. Earlier this year we secured larger offices and a larger space for outreach events – something we have been praying for for a long time. The aim is to invite as many people as possible to these outreach events. And our congregation has been extending invitations all across this beautiful city! Many people have been coming forward on the altar calls, and heaven is rejoicing over every life that is touched by God’s love and saved by God’s grace. Recently a young man named Martin* came to church, invited by his sister. He had been raised by an alcoholic dad, so Martin had picked up his father’s way of life. When he came to church he was deeply impacted by God’s love and peace. He has been in church every Sunday since, and is currently in a rehabilitation centre. Recently, he decided that he wanted to be water baptised to signify his new start in life. His whole countenance has completely changed and Martin’s sister still can’t believe that this is actually happening. Another miracle story is of a young woman named Amelie* who first visited C3 Lausanne about a year ago, invited by a friend. Amelie was in a complicated marriage and was desperately looking for hope and guidance. Her catholic background had given her an image of God that was judgemental and lifeless. In a Sunday service she was suddenly touched by God’s love and grace. For the past year she has been attending a connect group and is so eager to learn and to make progress in her knowledge of the Bible. Our purpose as a church is to create that atmosphere of love and grace where people like Martin and Amelie can encounter Christ. Their stories are nothing short of miracles, and we are so honoured to be a part of God moving in Lausanne. The last 12 years have been such an adventure for us here. We’ve been so touched by the move of God and by the supernatural growth of our church. To Him be the glory! We stand in awe of His greatness and goodness. In October we will be hosting the C3 Europe Conference and we are very much looking forward to gathering. Hopefully we’ll see some of you there! To find out more about C3 Lausanne, visit www.c3lausanne.ch. To find out more about the C3 Europe Conference, visit www.c3europeconference.com. When I found out that I was pregnant with my first daughter Nicole, I remember that I was overwhelmed with excitement and expectancy. My husband Mario and I held each other with tears in our eyes as we celebrated the privilege of becoming parents for the first time. We both felt a deep responsibility to be the best parents we could be. We read books, heard stories from friends, family and random strangers, and watched every television program possible in order to prepare. We wanted the perfect room inside the perfect house with us as her perfect parents. But truth be told… as much as we prepared and planned for perfection, we found ourselves feeling overwhelmed. We were so completely underqualified and imperfect. Many times in ministry, as I lead and pastor alongside my husband, I have found myself feeling these same emotions. 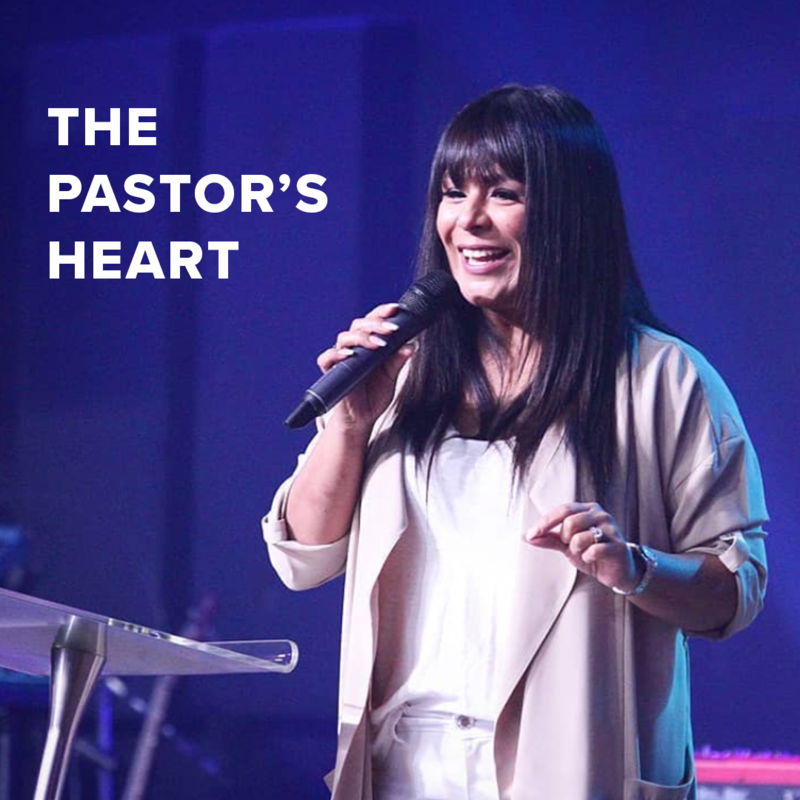 The joy of leading, the excitement of teaching, the privilege of pastoring were often replaced with frustration as my expectation of Sunday perfection didn’t match up with reality. The worship team may have had an incredible set list, the welcome team may have had their brightest smiles on, the fresh coffee may have been brewed to perfection… yet the thousands I expected didn’t come running through the doors. But one Sunday morning as my daughter, almost 19 years old, led the church in worship, I saw before me the visible evidence of God’s promises. There I was, standing next to my husband and youngest daughter, worshipping together as a family in our beautiful church. At that moment I understood and was comforted by the absolute truth that God is in control! The baby girl I once held in my arms was now standing on her own two feet, arms raised and heart filled with faith as she praises the name of Jesus. The truth is that both my daughters love and serve God not because of my perfection, but despite my imperfection. God has used it all for His glory and is in complete control. In control of me, in control of my daughters and is definitely in control of His Church. I am the messenger but He is the message! It’s ok to feel underqualified. It’s ok to be imperfect. We must keep serving, keep loving, keep leading, keep teaching, keep trusting and keep preaching Jesus; knowing that God is in control of it all, always. To find out more about C3 Las Vegas, visit www.c3lasvegas.com. As a pastor, we never like seeing any of our best people move on. But after living in New York, and now London, I know the reality of big city living – the possibility for your members to change locations is high, if not inevitable. I’m also a business owner who has ‘launched’ a lot of careers. Same thing, you never want your employees, especially your stars, to move on to new jobs, but part of my job is to help grow people to be better than they are when they get to me. And growth means just that – sometimes you outgrow your surroundings. We have a fine couple and their children leaving us at C3 Fulham to move back to Australia. When they moved to London it was for life, but you never quite know where life will take you. On his last Sunday, Cliff, the father of the tribe gave us a little ‘sermon’ at our pre-service prayer time. For all the pastors out there, who hate to see people go, here’s a an encouragement that they are leaving with more than what they arrived with – love is worth its weight in gold. The last couple of weeks, as we’ve been packing up. I’ve been thinking a lot about our time here in the UK, what God has taught me, and how much I’ve changed in that time. If it’s ok, I’d like to just share a couple of those things. Hopefully some of it might be of some use and encouragement to you, or, if you’ve heard it all before, you can just nod along smugly. God gives us dreams and goals. But God is viewing our lives from an entirely different perspective that we are. We see it from the present, able to look back over the past but peering blindly and sometimes fumbling into the dimly lit future, trying to make out what it is coming up next. God sees our life in its entirety, looking back from the end all the way to the beginning. We see the temporal. God sees the eternal. So we shouldn’t be surprised when his priorities seem to be different to ours. I came to the UK with hopes of furthering my career as a composer but, 9 years later, I’m leaving with so much more than that. Life is definitely not a destination. Life is all about the journey, and the journey is all about the people you’re travelling with. And the most exciting and memorable times are the unplanned pit-stops along the way. I’ve had highlights (and lowlights) career-wise. But what I will remember and cherish the most is not a set of career accomplishments but the memories of the people we’ve journeyed with. The people who stood with us in the tough times and celebrated with us in the good times. The relationships that have been forged in the fire as we’ve shared this chapter of the adventure together. C3 Fulham has been our family. You are brothers and sisters, and I consider it a privilege to know each and every one of you. The older I get, the more I believe that God puts visions and passions in our heart more as something to motivate us and get us moving – because it’s easier to steer a moving ship – than a literal picture of the exact future. When we get there it always seems to be different to what we expected. So, I want to encourage you. Relax! Chill out! You are in the right place, your destiny is today – right here and right now. Whether you are doing well, or whether you’re doing it tough at the moment. It’s all part of the grand adventure. Savour the moment because it’s gone all too soon, forever relegated to fond memories and amusing anecdotes. It really is so easy to get caught up in chasing that promotion or that dream job and forget to appreciate the amazing things God is doing right here and right now. Be careful not to hold onto your dreams tighter than you hold onto God! Life is all about the journey, and the journey is all about the people you’re travelling with. To find out more about C3 Fulham, visit www.c3fulham.com. When my lead Pastors, Jason & Emma Schroeder, asked me if I would consider taking on the role of campus pastor of a new church plant in Bali, it felt like I had been sideswiped by a truck. I had been the kids pastor at our church, C3 Hepburn Heights, for 6 years but it felt like a giant leap from that role to that of a campus pastor based overseas. Yet even in the midst of this surprising offer I recognized that God was leading and guiding me. I decided to take that step of faith into the unknown. I arrived in Bali in early January, 2017 with a team of 3 from Perth. In the midst of the complexities of starting a church I felt God’s favour at specific moments along the way. He provided people, finances, insight and resources at just the right time. It could only have been God who gave me the grace to adapt to a different culture and way of living. When I first arrived in Bali the thought of driving a car made me feel nauseous and at one point I considered hiring a personal driver just so that I didn’t have to drive myself! Yet it was remarkable at how fast Bali felt like home for me. Our campus celebrated its first birthday in February this year. We’ve seen salvations, young people getting water baptised and people reconnecting with Christ and the church. What a joy it has been to see people being discipled and growing in God. The team that God has gathered feels so much like family. When you move countries to start a church it tends to broaden your perspective on many levels. Bali is known as “the island of the gods.” Yet even in the midst of this type of spiritual environment my confidence in God’s power and authority has grown more and more. We’ve had some incredible moments in the presence of God, where His power has been so tangible. I’ve been living in Bali for around 1.5 years now, and I know without a doubt that this is where I’m meant to be. It hasn’t been easy leaving my family and friends, and the comfort and security of living in Perth. Yet I have been so blessed with the support of my family and home church in this journey. The love and care from my pastors and C3 Hepburn Heights has been extravagant. And what a huge blessing it is to be a part of the C3 movement, under the outstanding leadership of Ps Phil & Chris! The future is exciting! 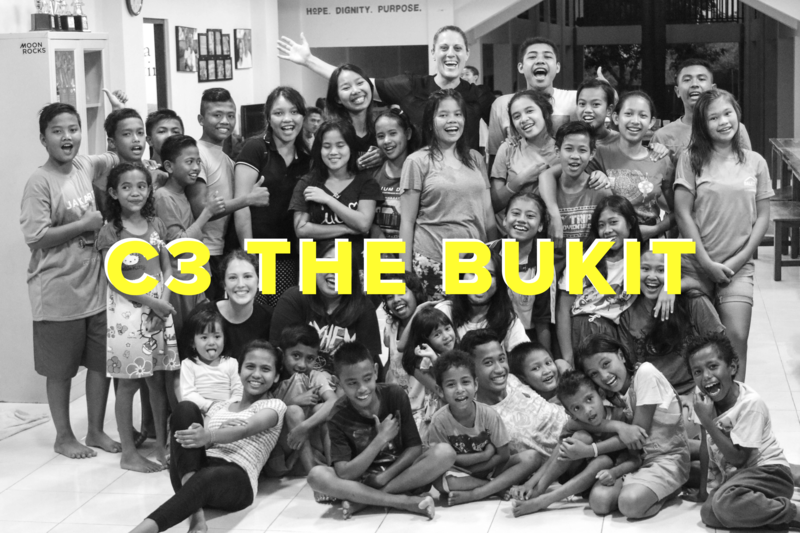 Visit http://www.c3thebukit.com/ to find out more. If you have ever felt like you stuffed up so greatly that you passed the point of no return, we probably could have thrown a rockin’ pity-party together in the late 90’s. I had not only journeyed off the narrow path, I had gone head first, slip-sliding in the direction of the ‘anything goes highway.’ I felt like a major failure – failed marriage, newly single mother and forced into a job I hated to pay the bills. I’d had my house, my money and my peace stolen from me, all by the ripe old age of 25. I felt like life was just not worth the effort. I escaped the disappointment by binge-drinking and party drugs, but I felt used and joyless. I had reached a point where I had nothing left. I remember one weekend, while my young kids were at their dad’s, I was getting ready to go out and had popped a pill. My mum invited me to Saturday night church and, because the pill had left me feeling rather high and happy, for once my answer was “yes”. After bouncing along to the music, I heard the voice of God speak straight into my ear in a loud, fatherly and serious tone, “What are you doing in my house like this?” It was the first time in a long time that I acknowledged that God was real and that He was paying attention to me. In a later conversation with my mother, I came to a realisation. I had spent the last decade ignoring God. I knew that if I died, the place I would go wouldn’t be heaven. This was the wake-up call I needed. I repented a week later in Church and handed my life firmly over to Jesus. I decided that if I was going to do this Christian life then I would be all-in. I had tried life the other way and it had no value. Jesus is a great redeemer and as His grace began restoring my broken spirit, I was awakened to His heart for those around me. I realised where they were headed, too. So many people walk around with blinders over their eyes to Jesus Christ and His redemptive power. I did for nearly a decade. A burden built within me for people who had also experienced the enemy coming hard at them, but whom perhaps did not have Christian mothers praying for them. What about those people? What about the people that have never heard there is hope in Christ? Those who would never ordinarily walk into a Church service? My heart began breaking for the lost. I had found the answer to the human condition and was compelled to share it. A small team of us began with one lady who was a local shut-in. We had a meal together and shared the gospel, helping her with a food hamper and clothing. It wasn’t a dramatic event and I’m not sure if she even accepted the Lord, but it was a start. We started to help people struggling with addiction, homelessness, mental health challenges, poverty, loneliness and refugees every Thursday. Local agencies referred their clients to us and we’d help practically, chat over a meal, share the good news of Jesus and give them a Bible. Since then we have gone into local community halls and cast the net wide, inviting people in for dinner and a message of hope. 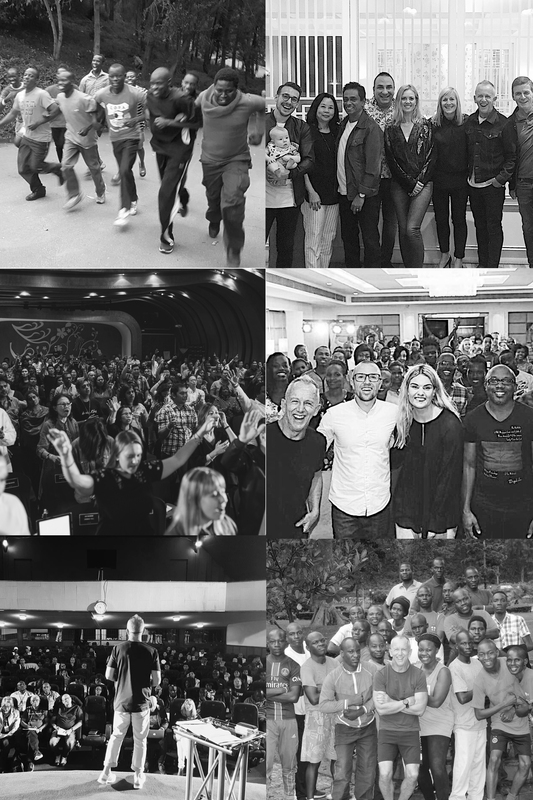 From those early beginnings C3Cares has grown to 20+ locations, being run by a variety of C3 Churches. The provision of the Lord has been phenomenal! Over the past 5 years He has taken what we have and multiplied it. To date we’ve distributed nearly AUD $1 million worth of food, clothing and household items. 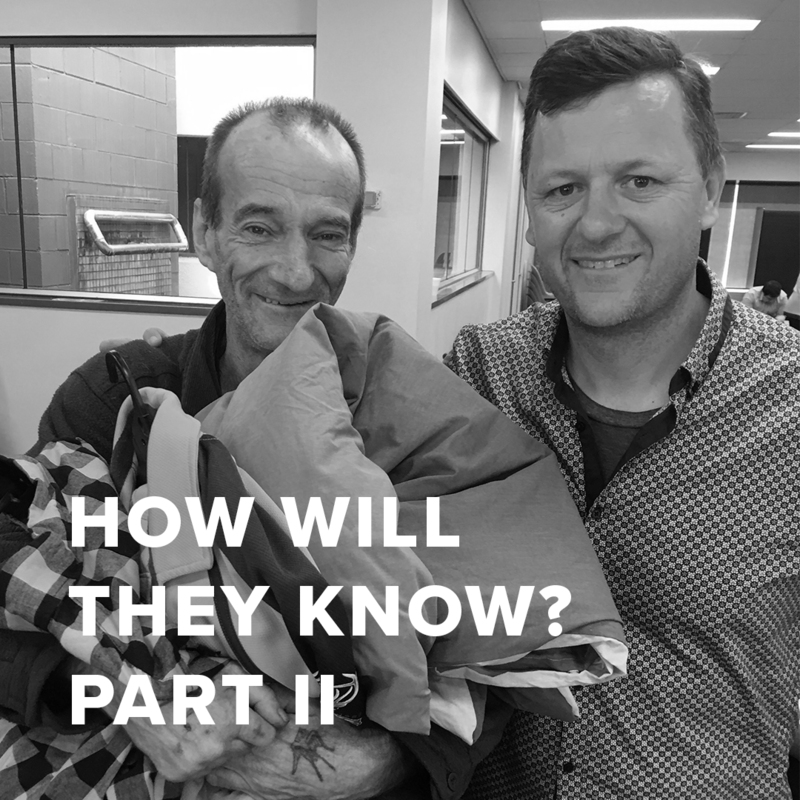 We have started job skills programs, English groups, life skills classes and even ‘Sydney’s Largest Free Clothing room’ all with the goal to share the love of Jesus. In this time over 1000 people have responded to the salvation prayer at outreach services. We watch people who come in guarded and broken, soften to the love of God and His transforming power through simple acts of kindness and miracle answers to prayer. I’ll never forget the day Trevor* walked in. He was older and tired-looking. He opened up and shared with us that he had two choices that day. The first one was to walk in front of a train. The second was to walk to “that church that had helped him with a food hamper that one time.” He accepted Christ and we are so glad he chose the second option that day! We see Muslim people regularly walk through our doors of community dinners eager for a Bible and to know more about Jesus. 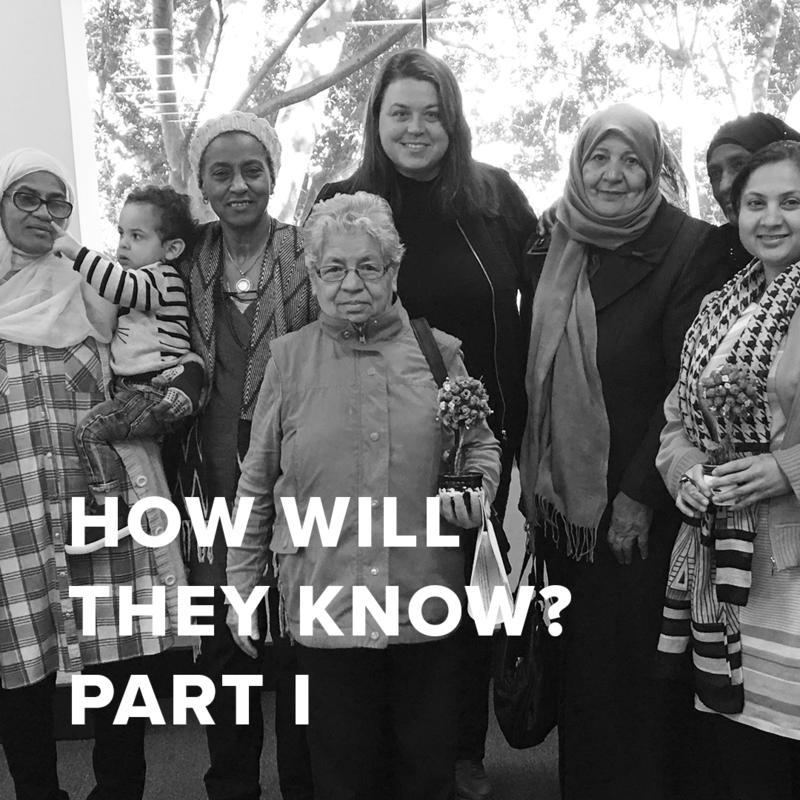 Fatima* is a local Afghani woman who came to Australia recently with nothing, her husband left her when they arrived and she has no support. We were able to connect with her and she now attends Church every Sunday with her children learning about Jesus in C3 Kids! Gerald* lost his wife last year and has no other family. He tells us the isolation is overwhelming. He now joins us every week and is going great with the Lord. He has also become mates with Gerry* whom we met at one of our community dinners. He accepted Jesus, was water baptised and we are so proud of him as he is now, a year later, attending C3 College to pursue his dream of ministry to others. Waw* is a Burmese tailor who has struggled with unemployment. We met him in our job skills program. He now attends Church each week, has his own Bible in the Karen language and even helps us when other Burmese people come along to services. There is story after story of lives being transformed. It’s all the Lord’s idea, all his heart for people. He devises plans to bring the lost home to Him (2 Samuel 14:14). It’s exciting to be part of His team! I loved how Pastor Phil helped remind us in the C3 Global Christmas Video that success in the Christian life is best defined as fruitfulness and I wholeheartedly agree. I also know that there are competing bids for our hearts when it comes to success in ministry. I began a significant journey in 1993 around what I like to call “Kingdom Connections” and I have since come to believe that our fruitfulness is determined by our connectedness, which Jesus made clear in John 15 when He said, “branches can’t produce fruit if disconnected from the vine…those that remain in me will product much fruit”. The first seventeen verses of John 15 lay out four types of fruit: No fruit, some fruit, much fruit, fruit that remains. To be fruitful in the redeemed sense we have to work at staying connected to Christ, as our vine. It is one of the designated titles Jesus would give himself in John15:1, “I am the true vine”, implying there are some false ones. Verse four encourages us to stay connected to Jesus and then His life will flow through us. The process of guarding the connections and remaining in Him is the work; fruit will be effortless if the connection stays intact. Fruit is the reward for sticking with the growth process because fruit always comes at the end of growth cycle, not at the beginning or in the middle. It feels that ninety percent of the time our barometer for life is in context of relationships. You can ask, “How are you?” or in Australia, “How you going?” and find that the answer is often determined by the health of ones current relationships. When our relationships are in order, our life is in order and life is good. I have found that whenever God wants to bless you, increase you, or enlarge you He connects you. You will not “be fruitful and multiply” on your own without a Kingdom Connection. Our warfare then becomes relational meaning we need to fight to remain connected and in community with those authorized by the Lord to be in our lives. It is our job to keep the connection clean, clear and strong. Our only hope of fruitfulness is connectedness. What develops in our walk with Jesus amounts to varying forms of warfare around our relationships and the quality of our connections. It has become painfully obvious to me that what God joins together (not just in marriage), we need to discern and then nourish and maintain. You will find that our connectedness becomes our warfare against the enemy. When the enemy wants to steal from you, he separates you from the authorized relationships that God wants to use to bless you. If we are ignorant of this strategy, we will miss the purpose of God in one generation. 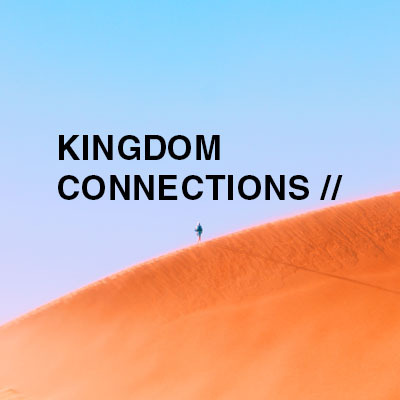 Here are a few things I see and have tried to implement around Kingdom Connections…so far. There is a Kingdom order of fathers and sons. These terms can either bring a smile to your face or cause the little hairs on the back of your neck to stand up depending on your upbringing. Regardless of past successes or failures of your biological father/sons, there is a Kingdom principle that is important to acknowledge. Father’s war for legacy and son’s cry for destiny. The unspoken question in the heart of our son’s would be something like “can I stay connected long enough to receive something generationally distributed?” Both stand to keep the heart pure and connections clean enough to honour our fathers (biologically and spiritually) that it might go well with us on the earth, which is the first commandment with promise! WOW. Ephesians 6 then reviews this first promise in verse three “This is the promise: if you honour your Father/Mother you will live a long life full of blessing”. In the area it is not going well, where did you dishonor? Succession is always the battle fathers face. How do we transfer generationally? Ephesians 6:4 starts “Now a word to the fathers …” It’s almost painful to continue, “Don’t make kids angry.” WHAT? But the deeper word for Dad’s “If you listen to your own heart, what stirs up anger for you as a son?” I submit, the deep levels of anger that surface among my gender at any age and all levels of society, is their fatherlessness! When you look at the life of David closely you will see the real giant he had to slay was illegitimacy. He grew up outside of the affirming words of his father. Overlooked and out in the pasture. That makes me angry just thinking about it. It is stunning to read when David was dying that he chose to remind his son about the covenant he made and to honour them. Why? Because there is no inheritance without covenant. In a culture that has become comfortable with co-habitation that is rooted in fear, covenant is foreign. We want the blessing of covenant just not the cost. That is what makes Judas’ betrayal so deep. He even chose to use one of the signs of intimacy in that betrayal, a kiss. We live in a world addicted to comfort and convenience. Commitments are disposable, relationally. Not so in Kingdom life. We are to be led by convictions not comfort. What if one of the only ways that the Lord gets things to us is by inheritance. I have heard it said that it’s the only way…but I haven’t lived long enough to prove that yet. I do know that in order for inheritance to flow generationally you need to be in right relationship. That’s obvious for us all, right? I am in my fathers’ last will and testament because we are related therefore I will receive an earthly inheritance because of that relationship. This is the same principle spiritually! Legacy is not established overnight or even over lifetime. When we think generationally we must think a minimum of three generations deep in order for values, truth, revelation to be established. One generation is just not deep enough. That is why the Psalms command us to tell the story to our children (Psalm 78:1-7). The bible is recorded for generations (Psalms 102:18). The present generation was meant to receive the previous generations lessons, wisdom, and truth. The God of Abraham was meant to become the God of Isaac. The New Testament begins with a demonstration that the foundation of revelation is the generations that proceeded by going through genealogy. Jesus would say in John 14 that He expects more from the generation that followed. This is mind-blowing! I would be totally stoked to do the works Jesus did, but He essentially said “If you get this in proper order greater things shall you do“. WOW!! Relational Integrity is a big deal. Biblically, you could not minister unless you could prove genealogy (Ezra 2:62) and I believe this has practical application today. The forsaking of kingdom connections and the lack of honour displayed in our culture would be my best guess as to why there is such limited fruit in the body of Christ. Paul would say, “You’ve got lots of instructors…” Gosh, don’t we know it. Any one can go on line for a podcast, live stream (don’t get me preaching…) find information, instruction but WHERE ARE THE FATHERS? The second of four questions the Lord asked in the garden can be summed up as “Whose voice have you been listening to?” I ask you that today. Whose voice is authoritative for you? Who has influence in your life? Who can correct you? Who speaks into your life? If you’re a father these never change, only does the context in which they’re applied. If you’re a spiritual father (loose & undefined) they are the same. Identity. It is the father that determines identity in physical children. I think it is the same spiritually. Identity and legitimacy gets lost when orphans remain un-adopted and un-affirmed. Identity comes from who we identify with. To be able to identify with someone who loves your heart and the destiny you carry gives security. Intimacy. To know deeply and be deeply known is the heart cry of every human. This is the only cure for the loneliness we see in our culture and in our churches. Loneliness is not the absence of people but the absence of intimacy. Influence. Fathers open does for their son’s and daughters. I get weary of the self-promotion I see in ministry circles, however this is simply the symptom of fatherlessness, since there was no father to go before and make invitations and introductions they had to fight to make their own way. I have seen one introduction open doors that would have taken decades to open alone, as an orphan. Your influence plus your intimacy will equal your authority. Inheritance. Legacy is only possible when relational integrity is intact. Without proper relationship there is no inheritance. We all must learn to respect and protect our inheritance otherwise it will move away from you instead of towards you. God cannot sell anything! He only releases what comes out of godly relationship. Heartbreaking to read how Esau sold his inheritance. Relational Warfare is critical for fruitfulness in ministry. There is a hunger for purpose that is pandemic. I know that personally I find my purpose when I find my people. When my wife and I joined C3, functionally, it took a bit of time for our hearts to migrate. But, once they did, it was very shortly after finding our people that our purpose was released in dimensions we never thought possible. Our assignments are always preceded by our alignment. If you’re properly aligned under godly authority and keep your heart in place of honour then all four of the above will flow to you. Some ongoing thoughts on Kingdom Connections … so far. It’s fair to say that we are living in a new day when it comes to the church and its approach to reaching the communities we are in. There is a new emphasis on looking, reaching and expanding ‘laterally’, as well as having a vision to ‘grow’ a church vertically. As a ­church, we are realising that the growth we are looking for is actually right next to us… in a community or neighbourhood 15-20 minutes down the road! To be able to see the opportunities all around us we need to understand the difference between growth and expansion. I believe we need to enlarge before we grow! As stated in the above verses in Isaiah 54, we see that it is the ‘place’ or ‘footprint’ of our tent that needs to enlarge. We are called to ‘expand’ to the right and to the left. Possibly the biggest visionary opportunities are right next to us – look right and left! As it says in Joshua 1:3, the promise declares that wherever we place the sole of our foot, that is what we will inherit. But to do this, we need to actually get onto new soil and plant church communities into new territories in our cities. 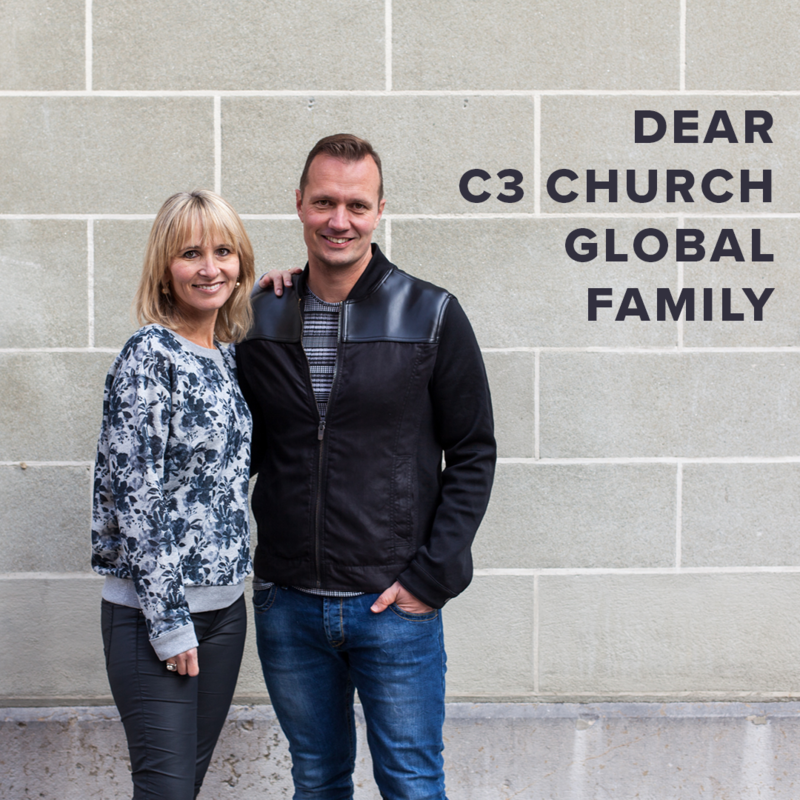 In C3 we’ve expanded globally and nationally – we have 470 churches in 64 countries. We’ve expanded to the nations but it’s time to reach the neighbourhoods! We need to be on the front foot of expansion instead of the back foot of passive maintenance. This means that the future to reaching our communities and our cities is firstly by starting new congregations. Cities all around the world are changing. As the pace of life in cities is increasing, and as issues like traffic and access to amenities becoming more and more challenging, people are craving a respite. Several decades ago, people responded to this need by moving to the suburbs and even further away to discover peace, space and sanity. Younger families, and even retiring baby boomers, are wanting access to the lifestyle that urban centres are offering, and they’re craving community, connection and a version of ‘village’ life! Even urban planners are responding to this need and to this trend by designing ‘precincts’ within cities that create a sense of community and easier access to amenities. As churches, we need to understand this trend but also to intentionally respond to it. People build relationships with people (not churches!) and they need a community to join. We need churches that are ‘neighbourhood’ communities that are alive enough and excellent enough to represent the culture of the kingdom but close enough and relationally engaged enough to meet this growing need within our cities. These are exciting days of both growing need, but also endless opportunity. We need far more church communities planted in our cities if we’re going to have an impact for Christ in our culture! If you are a pastor of a church currently, why don’t you consider, pray about and begin to research what could be a ‘new place’ to plant another congregation! You could even consider shifting from a ‘mono-site’ church to a ‘multisite’ church and create a vision and leadership culture that empowers and releases more people into new congregations in your city! Praying for you as you expand to the right and to the left! 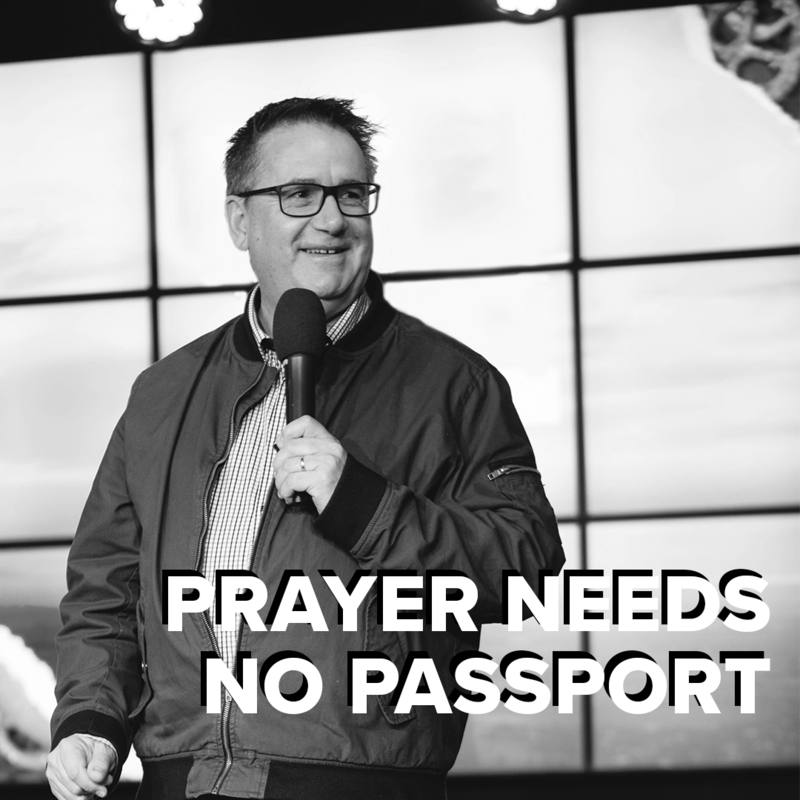 Check out the below video of coverage from our church in Toronto headed up by Pastors Sam and Jess Picken!